Proposal software is designed to streamline and automate the proposal and request for proposal (RFP) process for sales operations. Sales professionals benefit from proposal software features like the ability to quickly generate documents in multiple file formats, share documents through multiple channels, and track the impact of RFP and proposal documents on the sales success. Proposals can be the first important step in a business relationship, which means that salespeople need to include valuable and consistent content that is personalized to customer profiles and needs. Proposal tools are usually used to help sales or partnerships, so common integrations include CRM software, CPQ software, e-signature software, and accounting software. Proposal reviews by real, verified users. Find unbiased ratings on user satisfaction, features, and price based on the most reviews available anywhere. 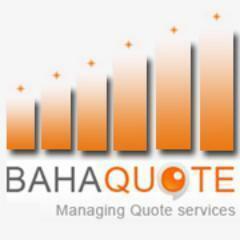 Bahaquote.com quote software is the step taken towards automating the entire price estimation process that satisfies customers with its range of managing quote services and the member based free and paid subscription packages available. BidMagic combines the top features you need into the ultimate unified workflow for installing dealers. Proposals connect to accounting, inventory, project management, service call scheduling, Gantt chart job tracking, mobile time clocks and more. eProposal is designed to meet your specific business needs, allowing you to focus on your goals, not mastering the technology behind it. Evenflow™ is the revolutionary solution for creating accurate quotes and custom proposals to fit with your current business needs. Expedience RFP and Proposal automation software helps your team create beautiful proposals and responses to RFPs quickly and easily. The implementation is completely developed and contained within Microsoft Word with no outside software beyond Word's native components and structures. Expedience Software is developed by the creators of Pragmatech's RFP Machine and Proposal SmartDocs. The ideal solution for RFP/Proposal response, questionnaires, and compliance review using only one software platform - Microsoft Word. Book a demo today to learn why our customers enjoy using Expedience RFP and Proposal Automation solutions. Deliver Winning Proposals Make proposal management easy with the right tools for responding to complex government RFPs. In three easy steps you can analyze, outline and build a compliance matrix and cross references. Quotegine is an online tool that enables you to create dynamic and professional business proposals. Quotegine proposals are much more powerful than a standard Word document. They are easier to create, have more features, are interactive and provide trackable results. Quotegine allows for team collaboration on sales proposals as well. PitchPortal is a online tool that makes it easier than ever before to build pitches and presentations. No special training, no messing around with formatting, and powerful tools that use the latest content from your resource library. The Proposal ID system is a document automation system that helps B2B (business-to-business) organisations run their businesses better by using a unique set of technologies and knowledge management practices to create intelligently designed documents. ProposalPad is a unique online proposal system developed for small business owners that makes it easy to create professional quality project proposals. TAS has extensive responsibility experience in analyzing business requirements, developing the RFP specifications and requirements, setting tasks and duties for the project team, reviewing and scoring vendor proposals, working as a member of the contract negotiation team and assuring vendor compliance with contracts. RFPMonkey.com makes responding to RFPs so easy a monkey could do it! Well, not an actual monkey, but that's the idea. Use RFPMonkey to create libraries of reusable content, manage that content, track and manage RFPs, and use your library content to quickly respond to your RFPs. Routzy is an acclaimed iPad CRM app that squeezes the functionality of several specialized business programs into one centralized, do-it-all sales center. This mobile, agile app helps you turn leads into customers on the go. Make your sales in the field with nothing more than your iPad! From forms to sales calls and from quotes to routing, Routzy does it all. This solution is ideal for sales professionals that want to spend more time selling and closing deals and less time authoring documents. If you are tired of searching through old documents for the best content, tired of cutting and pasting, and tired of struggling with formatting problems, then our Internet-based system, Sales Document Builder, is the perfect solution for you. Be more efficient by tracking your documents! Tilkee will revolutionise how you sell by analysing how, when and for how long your documents are read. 123Proposal Automation Software, Inc. (123PAS.com) specializes in Proposal Automation. 123Proposal has designed tools that work with the Microsoft® Office Suite, specifically, Word and Excel, to Automate Critical Parts of the Proposal Process. 1ClickBusiness is an online business proposal and invoicing software. Archer RFP is a proposal management software help to manage request for information(RFI) and request for proposal(RFP). Bidrik is a tool for creating, sending, tracking and closing quotes and sales proposals. Estimates and price are the key determinants for successful contract awards. Utilizing the right estimating and pricing tools can provide a significant competitive advantage. Capture2Proposal is a revolutionary business intelligence, capture, and proposal management solution in one secure, collaborative, and customizable platform. At Capture2, we believe the government needs the capabilities of commercial entities of all sizes. We open access to government contracts with market intelligence for every business from the smallest veteran-owned firm to the largest defense industrial base providers. Our key values are relentless customer focus, intelligent application of deep experience in our industry, and a passion to make a difference for you in the government contracting space, whether you are a Federal Contractor, an OEM vendor or a Value Added Reseller. Beautiful, Online Client Sales Proposals.Increase sales proposal conversion and shorten the client sales cycle with ClientSky. A full function CPQ designed to offer assisted, question-based selling. Contract Insight Enterprise, by CobbleStone Software, is the leading contract management software solution for leading organizations around the world. CobbleStone's contract management software automates and streamlines the entire contract lifecycle for legal, procurement, sales, and risk professionals in numerous industries. Contract Insight combines a user-friendly interface with robust contract features, backed by VISDOM artificial intelligence and machine learning. CV Partner is a sales tool that helps you update and manage your employees CVs and your companys case studies for bids and proposals. RFP technology platform built to solicit exact and measurable responses. DirectRFP solves the key RFP management challenges experienced by procurement professionals. DirectRFP is the only solution that allows procurement teams to easily create, share, structure, measure, and analyse RFPs to find the best and exact solution for their business needs without the ambiguity and confusion of traditional paragraph-based answers. Offering a 60% reduction in creation time and 50% reduction in costs. EasyPQQ cloud based bid, proposal & tender writing software makes the task of completing a pre-qualification or tender easier, whether it's a PQQ, RFP, RFI or ITT, thanks to its ability to: store & manage your pre-qualification & tender knowledgebase >> find previous responses or commonly required information >> automatically suggest answers to questions >> manage and review content from multiple contributors >> allow multiple users to work on a submission concurrently >> store, find & attach Partner profiles & CVs >> store, find & attach project profiles & case studies >> generate branded documents at the touch of a button >> Save time, improve quality, win more work With its powerful search engine indexing all of your previous content, you can say goodbye to continuously searching for answers that you know that you’ve used somewhere before. EasyPQQ can automatically suggest the most appropriate responses, which you can use, modify or reject. EasyPQQ is a web based platform, so your team can collaborate on the same live document from wherever they are. Users have access to approved content from a shared library resulting in an increase in document quality. Document management becomes simple; assign questions to the most appropriate members of your team, see which questions have been answered, which need approving and keep track of all the changes made. When your documents are complete, EasyPQQ can output them using your company brand look and feel, putting an end to the problem of collating multiple documents supplied in different formats. Irrespective of industry, business or document type, EasyPQQ saves you time, increases the quality of your documents and helps you win more work. EasyPQQ – it’s like having an extra member in your team. 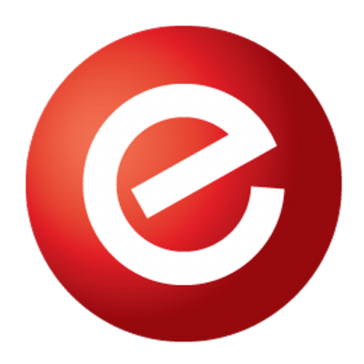 ElectronicTender has developed the world's most advanced high-security e-tendering/ e-procurement software product called Electronic-Tendering Engine - Advanced (ETE-Advanced Plus). EMDESK – specialised management software for European research projects. Integrated and secure tool for collaborative proposal writing and effective project management. Koneka's Document Engineering Platform leverages workflow, business rules, rich content definition and Natural Language Processing / Machine Learning to support the assembly, modification and production of large and complex documents that draw content from a variety of sources, and require input from many contributors. Quickly and easily create professional proposals that represent your freelance offering with Lancelot. Mag sales is an enterprise-level solution for project-based businesses involved in long sales processes -- Mag sales provides a solid project knowledge backbone and unique proposal generation and tracking solutions for complex sales management. Online sales proposals application for small and mid sized businesses. Create and close proposals faster in the cloud. Cloud-based accounting solution designed for freelancers and their accountants, allowing them to breeze through accounting the right way. Netformx DesignXpert®, is a global leader in enterprise technology design and proposal generation, gives you the power to overcome those challenges. Nibaal offers you the advantage of detailed and well-crafted proposals to win that business deal. The proposal software platform enables you to draft, manage and send business proposals, efficiently. NM Quote allows you to generate estimates for complex projects – covering one-off and recurring costs, as well as maintenance agreements. Quotes are presented in an accessible format and can be speedily reviewed and accepted by clients. Ombud enables organizations to deliver actionable information, empower decision-making, collaborate on results, and adjust processes using one single solution. Ombud provides a decision management platform designed to increase revenue and allow enterprises to drive to market faster. ONtility ProTM is designed to speed up and enhance the sales process. Easily crunch the numbers, generate professional sales proposal materials, and manage your sales activities. ONtility ProTM helps you focus on what really counts: identifying your customers` needs, designing smart solutions, and getting new business on the books. PitchPerfect enables users to build high quality, fully branded pitch and BD documents in seconds, pulling content from a single CMS (MS SharePoint). Add, edit and move content from within Microsoft Word and PowerPoint, without using a wizard-based or online system, simply by using the dynamic PitchPerfect ribbon. Search through and insert content easily with configurable search fields and our inbuilt preview tool. Record pitch data to automatically create visualisations and reports. Plus23 Modern Proposals is a collaboration and online proposal software designed for small medium businesses. Sellers and buyers interact and collaborate inside each proposal in a pre-sales setting. Features: Automate with templates and e-Signature. Delegate to co-workers with built-in team collaboration. Collaborate with Prospects to save time for both sides. Benefits: Sellers are responsive to buyers and efficient with proposal management. Quote more, quote faster and win more orders. Eliminate manual effort and reduce errors. A proposal occurs when a seller provides a written offer of services to a buyer. Oftentimes a buyer issues a request for proposal (RFP) to a vendor, and the vendors create a proposal in response. The proposal often addresses questions from the RFP and attempts to communicate what capabilities and skills they can offer to complete a job for another company. This allows the potential client to learn more about the proposing company and find out if they would be a good match for business. Proposal software aids in this process. Proposals are often the first step taken in establishing a relationship with another business. As such it’s vital that salespeople are using proposal software to craft valuable content that meets the other business’s needs. Proposals are often a long, drawn-out process that can take months for businesses to complete. Proposal software reduces the time it takes to complete a proposal by automating plenty of repetitive tasks within the overall proposal process. This includes canned responses to familiar RFP questions, preexisting proposal templates, and automatic price quoting. These features, among others, allow businesses to spend less time on tedious tasks and focus on the overall quality of their proposal. In addition to automation, proposal software aids in content management, team collaboration, and workflow management. With proposal software, you can work on the document with your coworkers, assign tasks out to relevant teams, and track proposal deadlines. Sales Teams — Sales teams are a huge part of the proposal process. They are often the ones who must effectively communicate the value of your company’s work, and in doing such, they must respond to RFPs with effective answers. Proposal software allows your sales team to collaborate in real time on a proposal, which allows everyone to add their own expertise. Proposal software also allows sales teams to speed up the entire sales process by giving the requesting company the ability to sign the proposal online. Furthermore, proposal software integrates with CRM software, which houses all necessary contact information that must be included in the proposal. This helps identify key stakeholders to include in the proposal. Marketing Teams — A proposal is an important marketing tool for most businesses. Proposal software allows marketing teams to take control over branding and use customizable templates in order to present proposals with a clear and professional look. Proposal software offers a variety of templates that can be used to play to your company’s strengths. This includes templates that market your company’s SEO, social media, content marketing, video production, and much more. Proposal Managers — Proposal managers can use proposal software to lead team efforts during the proposal process. WIthin proposal software, proposal managers can use project management tools to assign tasks and track the progression of the proposal.This helps keep teams focused and aware of proposal completion deadlines. On Premise — On-premise proposal software can offer companies more control of the software and provide the added security of residing behind corporate firewalls. Cloud — Cloud-based proposal software allows users to access proposals on a variety of devices from anywhere they have an internet connection. It can also make collaboration between team members easier. Document Builder Interface — Proposal software allows users to easily search and add features to a proposal with a document builder interface. This includes customizing the proposal with different templates, branding, and even media. This can be a huge factor in displaying your company’s value. If your company is a landscape or interior design firm, for example, it will be extremely useful to provide videos and pictures displaying how effective your work is. This makes the proposal look clearer and more professional for other businesses. Collaboration — Oftentimes, a proposal will need members across a variety of teams to jump in and provide expertise where it’s needed. Proposal software allows multiple users to work on the same document, which provides more visibility and support for each proposal. Users can also easily create, edit, and collaborate on supplemental documents, as well as track changes right within the proposal software. Assembly and Approval Workflows — A huge benefit of proposal software is task and team management. This allows companies to automate workflows by routing documents to the correct individuals for adding content and approval. Analytics — Proposal software provides companies with a variety of analytics tools. With engagement tracking features, teams can track who is looking at their proposal and see for how often or how long. Businesses can also use proposal effectiveness reporting. This allows you to see which pieces of content are performing the best and grants the user with custom reports and dashboards on proposal volume and acceptance. These analytics tools will help you craft more effective proposals in the future. Shifting from Legacy Systems — Proposal software can store documents in their native format, such as Microsoft Word and Excel, PDF documents, or in HTML form. The way your existing systems handle these file types, and your preferred document type, can be a potential roadblock when you transfer to using proposal software. CRM — Many proposal software solutions can integrate with CRM software. If your company uses a CRM, research proposal tools for potential integration with that CRM. Ensuring that proposal software integrates well with current systems or expanding your search to more complex systems that can manage proposals is a key to choosing the right software. CPQ — Proposal software works hand in hand with configure, price, quote (CPQ) software. When companies are crafting their proposals, they often need to send out detailed quotes in line with what they are offering. CPQ software helps companies pull accurate quotes and helps make the proposal process much smoother. E-Signature — E-signature software gives users the ability to gather signatures on documents shared electronically, eliminating the need for physical documents to record signatures. This is a great tool to integrate with proposal software, since most proposals require signatures from the requesting company. Hi there! Can I help you find the best Proposal solutions?